16-year-old Blue lives with her psychic mother and numerous other psychics in town. Although she has no psychic powers, Blue seems to increase the powers of others by proximity. Gansey, a rich "Raven Boy" (named after the mascot of a private Virginia all boys prep school called Aglionby), is on a quest to discover and follow ley lines of energy that will ultimately lead him to Glendower, a long dormant Welsh king who, if awakened, promises to grant a favor. Gansey has enlisted the help of three other Raven Boys, Noah, Ronan, and Adam, and adds Blue to the list after benefiting from her amplification powers. Blue tends to stay away from Raven Boys in general, but for some reason is drawn to this group and their quest. The problem is that she has always been told that if she kisses her true love, he will die, so she is very careful to remain hands off. 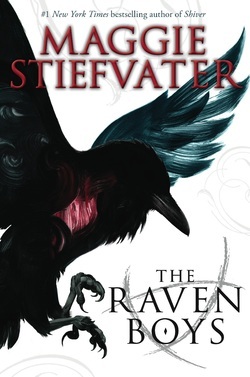 The reader is drawn into the intertwined world of the psychics and Raven Boys with fully developed characters and plot. I was disappointed in the final reveal of one of the premonitions given early on... when It happened I didn't even recognize it. Also, there were numerous characters introduced in the beginning that I found confusing. Even at the end I was still confused about the various psychics. Otherwise, I was completely sucked into the story and wanted it to continue, which is good since there will be a sequel. This will most likely appeal to girls despite most of the characters being boys. Ghosts, psychics, paranormal events, and a mystical feel are prevelent throughout, so if you are into that sort of thing, you'll enjoy this story. It is otherwise a clean read with no kissing (obviously), drinking, or drugs. Suitable for readers grades 8 and up. This is an interesting and complex fantasy that incorporates fascinating old photographs into the story. Jacob is a teenager from a wealthy family in training to take over the operation of a chain of stores he has no interest in. He is very close to his Grandpa Porter who was orphaned during the Holocaust and lived in Miss Peregrine's Home for Peculiar Children, and recounted stories from those days with fondness. He's shown Jacob pictures of his friends from the home and says it was a wonderful place to live. The photos are odd and Jacob wonders if his grandfather makes up these stories to mask the pain he experienced during the war. Suddenly, his grandfather is killed by some sort of monster with multiple long tongues protruding from it's mouth, according to Jacob, and no amount of grieving or counseling helps him. Grandpa Porter died with cryptic last words and it is Jacob's desire to uncover their meaning. 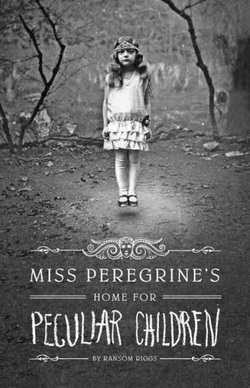 He convinces his father to take him to the remote island of Cairnholm off Wales to visit the home where he's hoping to find the Head Mistress, Miss Peregrine, that his grandfather corresponded with at least until 15 years ago. The magic of the story begins after his arrival on Cairnholm. He learns that the home was bombed in 1940 and that no one survived, which confuses Jacob because of the last letter from Miss Peregrine. While exploring the house ruins, he unwittingly uncovers a "loop" on March 9, 1940, where the children and Miss Peregrine have intentionally lived since the bombing. Loops are places, or times, that continually loop the same day over and over again, and allow time travel. Thus, they all remain as they were in 1940. Jacob learns that the children he saw in the photographs are still here, and they all have some sort of gift - levitating, making plants grow, turning into birds, having prophetic dreams, being extremely strong, holding fire. Not only that, but the girl that his grandfather was in love with, Emma, is still there and asking about him. Now that Jacob knows Grandpa Porter's stories were true, he must uncover the truth about his death. Although the cover suggests that this might be a horror story, it is not. It does contain some interesting concepts about time travel and immortality, and there is a minor love story between Jacob and Emma, which may be an "ick" factor considering her true age. But much of the final chapters is filled with kids fighting monsters and narrow escapes, loyalty of friends, and Jacob finding an alternate solution for the life he doesn't want. A sequel is implied. The photographs are a plus and overall add to the story. Some drawbacks for me occur in the beginning chapters - a best friend who appears briefly and disappears for the rest of the book, all the interactions with his extended wealthy family that play a minimal part in Grandpa's Porter's story, the drawn-out research of trying to discover what his grandfather's last words mean. For me, the story becomes interesting after he arrives on the island. Still, readers who enjoy fantasies will enjoy this. 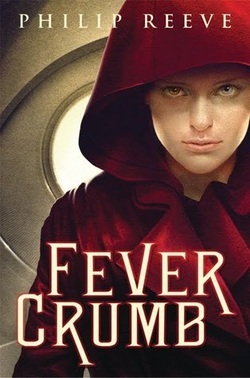 Fever is a 14-year-old girl, a foundling brought up by Doctor Crumb in the uber-rational guild of Engineers who consider emotions silly and hindrances to logical living. They live, fittingly enough, in a giant head. She is the only female, however, since girls are not believed to be capable of rational thought. The story begins when Fever is sent out to work on an archaeological dig with Kit Solent, who is working on a top secret project. Soon after leaving the protection of her adopted father, however, she is accused of being half "Scriven", a race that has all but been eliminated following a devastating rebellion. As well, Fever begins having memories that are not her own. The reader follows Fever's slow discovery of the truth of her lost background, while the "Movement" tries to take control of future London. Set far in the future, the story is full of names and words that are a creation of the new world, so as in reading any science fiction, there is a learning curve for comprehending the story, which is the first in what is to be a four-part series. Fans of science fiction will enjoy it most. It has an A.R. level of 6.7, most likely due to the strange futuristic vocabulary, and is best suited for grades 9 and up. 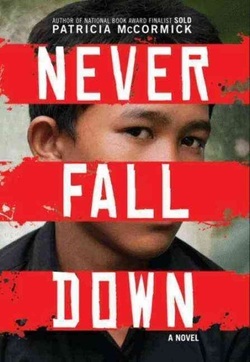 This political and historical fiction story takes place between 1975 and 1979 in Cambodia when the Khmer Rouge takes control of the country. It is based on the true story of Arn Chorn-Pond, a young boy who sells ice cream to help feed his family. Despite the war between the government (Arn thinks the princess is pretty) and the gorillas (who wear black pajamas), Arn's life is relatively unaffected by the fighting in the jungle. His life is full of games and music. Quickly in the story, the Khmer Rouge trick the population into leaving their homes and marching into the countryside, saying that Americans are coming to bomb the city. On what is supposed to be a three day journey, many die from exhaustion as the days turn into weeks. Many are killed because they are considered rich, or too pale, or for not working hard enough, or for being too educated. Those who are not killed are forced into a life of slavery, working the paddy fields at labor camps. And then they still might be killed. Families are separated and years pass with starvation, sleep deprivation, fear, malaria, and sickness. Arn survives the first few years by quickly learning to play a type of flute in order to play the new revolutionary songs for the population. It helps keep him alive, and he steals food for others also trying to survive. He briefly lives in relative safety until he is pushed into the role of a child soldier as the country is about to be liberated by the Vietnamese. Arn only knows what he hears from rumors that include stories of people trying to escape to Thailand, which is where he intends to go if he can survive the Killing Fields. This harrowing tale is written from Arn's point of view in a very accessible dialect. It is gripping from the first page to the last. Arn might be compared to Anne Frank, a young child caught up in a war. Appealing to readers who enjoy survival stories, political stories, historical fiction, and true stories, it is highly recommended for teens in grades 9 and up, despite the fact that Arn was much younger than that when he lived through this genocide. This story jumps right in. A young British spy is caught by Germans in occupied France during WWII. A rookie mistake, looking the wrong way and getting struck by oncoming traffic. To avoid further torture, “Verity” will confess all, by writing pages for the interrogation officer. She must answer questions provided her, airplanes, airfields, of which she is aware, as well as her mission. In a roundabout way, partly to delay her execution, she tells the story of Maddie (code name Kittyhawk), a female pilot, and her friend Julie, a translator, who have become best friends. The long windedness of this tale infuriates her captor, but since she is providing the information he desires, he allows her to continue. The other prisoners, held in what used to be a fancy French hotel, despise Verity for being such a coward. Still she hears their screaming which is enough torture to bear. Halfway through the book, Maddie becomes the narrator and the reader learns what has been happening since Verity’s disappearance. The British are not sure she is captured until they hear an interview by a propagandist on the radio. In one mission, Maddie gets caught behind enemy lines, not far from the French hotel where Verity is held. It is one of those points where the reader knows how close they are to each other, and the girls do not. The stories of the two girls are weaved together flawlessly and there are unexpected twists and turns throughout. An excellent spy story until the very end. I listened to this one on CD and enjoyed hearing the differing British accents, since Verity comes from a wealthier background from Maddie. I could picture the entire story throughout the telling. This is a story the reader is unlikely to forget. Highly recommended for more mature teens and adults due to the graphic nature of the torture and limited modesty issues.